Home » Heating Supplies » Heat Exchangers » Everhot BT4x12-30 4-1/4" x 12" Brazed Plate Heat Exchanger, 30-Plate, 1"
The BT4x12-30 from Everhot is a 30-Plate, 4-1/4” x 12” Brazed Plate Heat Exchanger with 1” MNPT Ports. 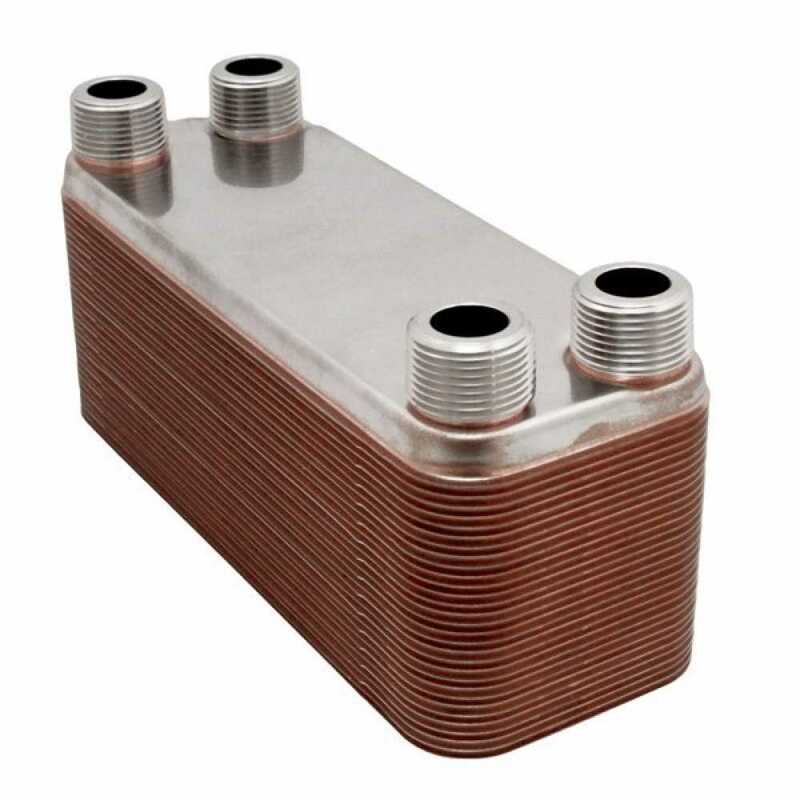 It's designed for use in a variety of liquid-to-liquid heat transfer applications, where a reliable, efficient and compact heat exchanger is needed. Flow Rate: 40 GPM max.